Orlando, USA | October 15, 2018– Today at NBAA, Satcom Direct (SD) launches SD Xperience to simplify and improve business aviation connectivity and operations. The new fully-synchronized, end-to-end solution combines cabin and cockpit communications services, aircraft connectivity hardware, and flight operations software. SD Xperience will deliver purpose-built technology that satisfies the unique, evolving requirements of business aviation, allowing SD to create tailored solutions based on customer requirements. Firstly, IFExpress has our APEX show images on line and you will find them here. “On September 14th, 2017, FTS hosted an IFEC Summit and conducted a live demo of their Ka-Band HTS Satcom Connectivity solution to multiple Chinese airlines, government officials, and technology partners in Beijing, China. Taking place at the ultra-modern Zpark Technology and Conference Center, more than 150 attendees listened to speakers who shared insights on broad topics like regulations, market development and technology trends. This is indicative of the recent surge in interest and accelerated pace of rolling out inflight connectivity in China. For the live Ka-Band Satcom Connectivity demo, FTS leveraged on ChinaSat-16 Ka-Band satellite, connected to full FTS Xstream-Sat hardware, including Satellite Antenna, Modman, General Network Server and Cabin Wireless Access Points. FTS was able to demonstrate downlink speed in excess of 70Mbps in what was the debut of the first China Ka-Band satellite for IFC. 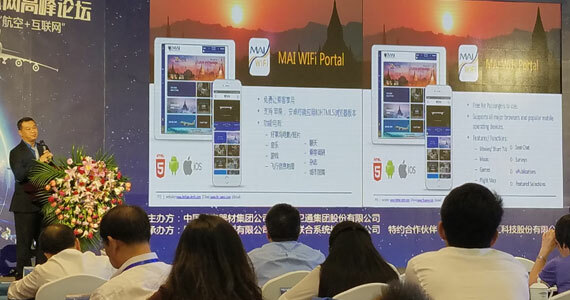 All attendees were connected to internet via satellite on their mobile devices as if they were on a flight. Each attendee was assigned a virtual seat number and could stream videos, surf websites, order food and beverages as well as indulge in some onboard shopping on the FTS Xstream inflight software platform throughout the demo. Flight attendants serviced the attendee requests and orders in real time and the demo was a great success. With the recent announcement of the Chinese government to allow the use of PEDs and cellphones inflight, the timing of the event could not have been more advantageous. “We are very pleased with the number of airlines and industry partners that attended the event and with the successful demo of our IFC solution, we look forward to growing our footprint in China in tandem with our great partners,” said Rich Salter, CTO of FTS. This issue’s rectangle picture is from the FTS demonstration. IFEC Breaking News (Sorta!) – Follow the Money! 1. Bombardier developed a CSeries (CS 100), single-aisle, 100 to 150 passenger aircraft in Quebec, Canada. 2. Delta ordered 75 of the CSeries planes ( with 50 more as an option) in April of this year as part of their fleet upgrade ($4 to $5 Billion) with the hopes of a 2018 introduction. 3. In May, Boeing claimed the US aerospace industry was at risk if the planes are sold and stated that Bombardier should be fined for price dumping. Boeing proceeded to file a complaint with the ITC and the US Department of Commerce charging that selling the planes at $19.6 million each should be considered a “dumping” price. A 218 page transcript was reviewed that noted that the CSeries selling at that price would kill the Boeing B737-700 and the MAX 7. While Delta did buy some Boeing planes, they were going to loose the “100 seat market the plane need” and since there was a financial bailout of Bombardier by the Canadian Government, the CSeries should receive a US Government tariff. Initial US Commerce Department rulings recommended that US Airlines should pay as much as 300% in import duties. 4. Delta CEO Ed Bastian was not going to buy the planes at the new price! 5. On October 16, Airbus and Bombardier formed a partnership (Airbus – 50.01%, Bombardier 31%, Quebec – 19%) and announced the plane will be built in two countries (Quebec and Mobile, Alabama in the US where their A321’s are made), and guess where the Delta planes will be built? In about one month, Airbus put the deal together and since they see 6,000 of the CS types in the small-plane market (most in the US), it worked for both companies. We note, airplanes built in the US are not subject to US duties – at least not today. And lastly, why are you reading about it here? Because this is the plane that Delta will launch the new Gogo Vision Touch, the wireless seatback solution for connected IFEC, on in 2018. Check out this link for more details on Gogo Vision Touch! Astronics Advanced Electronic Systems (AES), was recently selected by six major North American airlines to install industry-leading EMPOWER in-seat power systems on up to 1,400 narrow- body and regional jet aircraft. On the outside the aircraft is fitted with two representative transonic laminar outer-wings, while inside the cabin a highly complex specialist flight-test-instrumentation (FTI) station has been installed. The extensive modifications to the A340-300 test-bed aircraft took place during the course of a 16-month working party in Tarbes, with the support of numerous industrial partners across Europe. Today’s first-flight marks the kick-off of the Blade flight-test campaign to explore the wing’s characteristics in flight. A key goal of Blade is to be able to measure the tolerances and imperfections which can be present and still sustain laminarity. To this end, Airbus will simulate every type of imperfection in a controlled manner, so that at the end of the campaign the tolerances for building a laminar wing will be fully known. The flight Lab will perform around 150 flight hours in the coming months. Sepang Aircraft Engineering (SAE), an MRO centre based in Kuala Lumpur, Malaysia, partially owned by Airbus since 2011, has become a fully owned Airbus subsidiary, following the acquisition by Airbus of its remaining shares.With this acquisition, SAE becomes an integral part of the Airbus Customer Services network and is set to represent a key element of Services by Airbus’ growth strategy in the dynamic Asia Pacific market. JetBlue will become the first airline to introduce Airspace by Airbus on the A320 Family, the agreement was introduced at APEX Expo. JetBlue customers will experience this newest A320 Family cabin aboard JetBlue aircraft starting in late 2020. Highlights of the new Airspace cabin in the A320 Family include: a unique welcome experience. In particular, a customizable welcome effect is extended throughout the cabin by a central lighting strip which is visible even with open bin doors during boarding. The A320 Family cabin with Airspace features the industry’s largest overhead bins, whose conformal exterior profile facilitates smooth boarding. Throughout the cabin passengers will appreciate the increased interior width, the soothing ambience of the latest full-color LED lighting, and a contemporary lavatory design with new comfort features. Inmarsat (ISAT.L), the world’s leading provider of global mobile satellite communications, announced that AirAsia Group has selected its next-generation GX Aviation inflight broadband solution for more than 120 Airbus aircraft. This contract supports Inmarsat’s strategy of providing airlines with tailored scalable capacity by designing, owning and operating a global network of High-Throughput Satellites (HTS). GX Aviation is the world’s first in-flight connectivity solution with seamless, reliable high-speed global coverage provided through a single operator. It is the only service in the market that guarantees minimum data rates, ensuring that airline passengers can browse the internet, stream videos, check social media and more during flights, with an onboard connectivity experience comparable to the mobile broadband services they may receive on the ground. Also, AirAsia Group will connect to the GX network using exclusive new JetWave terminals produced by Honeywell Aerospace. The terminals are designed for ease of installation and maintenance to assure the lowest downtime for any cabin connectivity solution in the market, allowing installation with minimal labour and using standard tools available in maintenance hangars. International carrier Philippine Airlines (PAL) has selected SITAONAIR to make its global high-speed connected passenger experience ambitions a reality over GX Aviation. SITAONAIR is to deliver the upgrade of PAL’s existing B777 Swift Broadband fleet to GX Aviation, powered by Honeywell’s JetWave SATCOM terminal, together with line-fitting PAL’s new Airbus A350s and A321s. Once complete, SITAONAIR will activate its rich nose-to-tail package of bespoke inflight connectivity (IFC) services, achieving a significantly enhanced and consistent connected experience for passengers and cabin crews. SITAONAIR’s award-winning, intuitive Internet ONAIR portal offers contextualized and personalized content, satisfying digitally-demanding passengers over GX connectivity by mirroring their ‘at-home’ experience, and with free 30-minute Wi-Fi sessions and cheaper price plans on offer to all passengers. In addition, PAL customers will benefit from SITAONAIR’s mobile connectivity over GX via SITAONAIR’s Mobile ONAIR; ONAIR Plug’s secure online channel for inflight card transactions and crew and passenger interactions; plus integrated, connected inflight entertainment from Zodiac Inflight Innovations. The close partnership between SITAONAIR and Zodiac Inflight Innovations with PAL plays an important part in the program’s success. Immfly, based in Barcelona, was selected by easyJet to launch its IFE product on the basis of the high-performance digital platform it provides. It offers the flexibility to dynamically deliver a broad range of digital content and innovative tools to effectively engage customers. Immfly’s product is at the forefront of the industry providing passengers with the ability to access a unique in-flight entertainment experience with personalized capabilities through their own smart devices, rendering old built-in monitors obsolete. Immfly, already a leading provider of in-flight sales and communications services in Europe, expects to reach 100 million connected passengers by 2018 following its partnerships with airlines which include carriers such as Iberia Express, Volotea, XL Airways and now easyJet. Rakuten, a global leader in internet services with over 1 billion members worldwide and an ecosystem of more than 70 services, will be the Official Entertainment Sponsor of easyJet’s in-flight entertainment service integrated by Immfly. It is probably a good idea to watch game changer companies to see where technology is taking businesses and the “future” so here is a link to a presentation from CB Insights outlining some of the futurist developers like Next Gen Computing, Geospatial Data, and more. Peterborough, Ontario | July 6, 2017– The Flying Colours Corp. avionics team has completed its first installation of the Honeywell JetWave™ Ka-Band satellite communications system. Work on attaching the LRU’s, radome and tail mounted antenna has just finished at the company’s Peterborough, Ontario facility, making it one of the first Bombardier Aerospace Authorized Service Facilities, ASF, to fit the system. The connectivity upgrade is part of a wider Bombardier Global Express aircraft cabin refurbishment project which is expected to be completed by the end of July. Valour Consultancy Talks Bizjet IFE! Every so often we get a call from our friend Craig Foster at Valour Consultancy and while we talked IFE, he noted that Valour Consultancy had published a piece he had written on Bizjet IFE. We were interested because in the past, the Bizjet folks usually embraced technology before the IFE world did. We thought you might like to see if that is still true and the folks at Valour (and Craig) kindly provided a copy for our readers to view. If you wish to contact Craig, you can reach him at craig.foster@valourconsultancy.com – and thanks! Last month, Valour Consultancy released its latest analysis of the market for in-flight connectivity on VIP and business aircraft. The study draws upon our considerable expertise in analysing the adoption of in-flight connectivity (IFC) in commercial aviation and is the result of a rigorous primary research phase consisting of numerous interviews with key players from across the industry. The report finds that, globally, there were 19,131 IFC systems on VIP and business aircraft at the end of 2016. L-band was by far and away the most dominant connectivity technology with cumulative connections representing 75% of the total. A large proportion of this is accounted for by Iridium, whose systems support in-flight satellite phone operations on almost 10,000 aircraft. The remainder of L-band connections are accounted for by Inmarsat, which has seen adoption of SwiftBroadband (SBB) pick up rapidly in recent years. Uptake of Gogo’s Air-to-Ground (ATG) options has been similarly brisk in recent years. By the end 2013, there were 2,047 terminals connected to the Gogo Biz network. This had increased to 4,172 three years later. ATG and L-band both have room for further growth in coming years, too. With respect to ATG, there will likely be continued interest in Gogo’s solutions over the course of the forecast period (2016 to 2026), especially now that the company is close to commercial launch of Gogo Biz 4G and plans to have its next-generation ATG network, which will offer peak network speeds of more than 100 Mbps, up and running by 2018. When you add SmartSky Networks and its 4G network into the mix, as well as the Inmarsat European Aviation Network (EAN), it is apparent that there remains plenty of potential for ATG technology. Though it is yet to be officially confirmed whether the EAN will be used by the business aviation industry, there appears to be consensus that it would work very well on board private aircraft. While Inmarsat is reportedly seeing a lot of interest from operators looking to upgrade from lower-bandwidth IFC systems to Jet ConneX, the company is also working on increasing the performance of the L-band technology used for SBB. Iridium, meanwhile, recently celebrated the successful launch of the second batch of Iridium NEXT satellites. Upon completion of the constellation in 2018 and the start of commercial service one year later, the so-called Iridium Certus solution will likely find favour among operators of those small- and medium-sized business jets less suited to the fitment of bulky radomes. 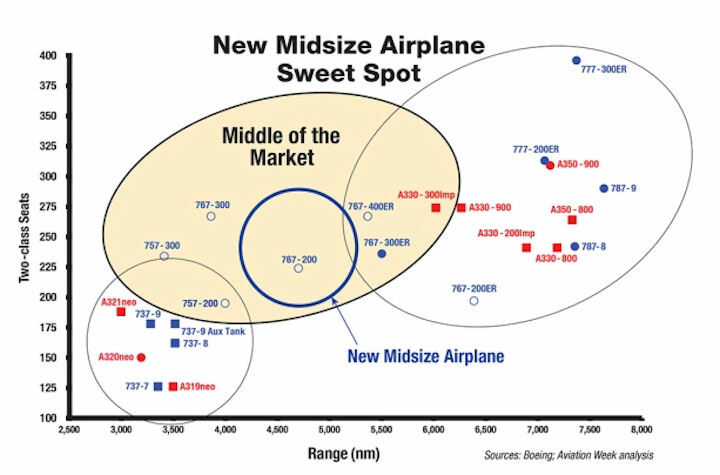 Adoption of Ku-band technology on VIP and business aircraft appears to have an equally rosy future – a view presumably shared by new market entrants, Panasonic Avionics and Global Eagle, as well as Gogo, which recently announced its first business aviation customer for 2Ku. Right now, there are some 500 Ku-band systems in operation on VIP and business aircraft and the vast majority of these are accounted for by ViaSat and its Yonder system (although it’s no longer referred to as Yonder, to shift the focus towards the ViaSat brand). Panasonic and Global Eagle representatives have not been shy in admitting that they are gunning for ViaSat in this market. However, ViaSat appears content to focus on ensuring existing clients migrate to its Ka-band technology – a sensible strategy given the ongoing success of its Exede in the Air product in commercial aviation. Now that ViaSat-2 has finally launched after several setbacks, there will soon be a considerable amount of additional Ka-band capacity for business jets flying between North America and Europe. Additionally, the company says that it will have its three planned ViaSat-3 satellites operational around 2020 making ViaSat the only rival provider of global Ka-band capacity to Inmarsat. By 2020, ViaSat could have some catching up to do if the take up of Jet ConneX is anything to go by. Having debuted in November 2016, there were an estimated 30 aircraft fitted with the solution by the turn of the year. Inmarsat has previously stated that it expects to see 150 Jet ConneX-equipped aircraft by the end of 2017 and has a goal of connecting 3,000 jets by 2020 (although it is apparently now upgrading its forecasts). Overall, we are forecasting that by the end of 2026, there will be 37,710 IFC systems installed on VIP and business aircraft – almost double the current total. The reader should, of course, note that these numbers do not refer to the number of aircraft with IFC. In fact, it is estimated that today, around 1,000 to 2,000 aircraft with Iridium satellite phones also make use of Inmarsat’s SBB network. Likewise, Gogo has publicly reported 4,172 connections to its Gogo Biz service and acts as the service provider for 5,286 installed Iridium terminals as well as 214 installed SBB terminals (a total of 9,972 connections – all accurate and up to date at the end of 2016). However, the firm delivers services to 7,400 aircraft implying many are flying with more than one system installed. 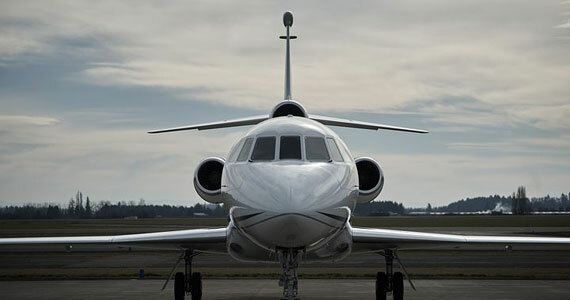 Owners of business aircraft fitted with connectivity equipment some time ago will be keener to take advantage of more recent advances in satellite and hardware technology. The ‘Uber-isation’ of the private aviation industry is increasingly being talked about and with e-commerce replacing traditional methods of sourcing and booking a business jet, easy comparisons between different operators and aircraft means that customers can see where one aircraft has IFC and another doesn’t. This transparency will further encourage operators to improve their offerings. As well as the increased comparison between business jets and their features because of new e-commerce initiatives, business aviation is having to compete with the rapid adoption of IFC in commercial air transport perhaps making a first class connected seat more attractive than a private jet with no in-flight Wi-Fi. Competition is hotting up with the likes of Global Eagle, Panasonic Avionics, BizJetMobile and SmartSky Networks all new to the market or preparing to enter. The launch of several new high throughput satellites (HTS) and the prospect of cheaper capacity and faster services is having an extremely positive effect on the market with service providers having inked several new deals in recent years. 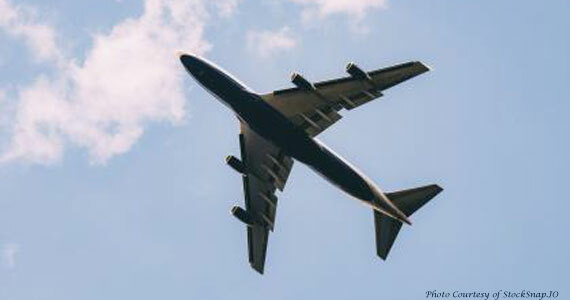 The connected aircraft and e-Enablement is beginning to resonate more and more as a way to drive operational efficiencies and help underpin the IFC business case. Some of the remaining challenges to more widespread adoption of IFC on VIP and business aircraft are as follows. Production of new business jets has stagnated and consequently reduced the possibility of line-fit offerability deals for many IFC providers and limited their opportunities for growth. Fitting an aircraft with a sizeable antenna to enable IFC impacts aerodynamics and increases fuel burn, thereby driving up operating costs. Additionally, many smaller business jets are currently unable to accommodate larger Ku- and Ka-band antennas on their fuselages. Current generation Ku-/Ka-band systems lock operators into the service provider (so the hardware is not provider agnostic) and should there be a desire to switch, a very expensive refit ensues. While commercial airlines tend to fly set routes at specific times of day, business jets are more sporadic. One day they may be flying domestically in the US, the next they may be making their way to China or Russia. This uncertainty means high-bandwidth IFC solutions that offer global coverage – which are currently few in number – are perhaps more compelling. Many in the industry are concerned that as we move towards realising the vision of the fully-connected aircraft, the opportunity for cyberattacks will increase. The main worry seems to be that such systems will allow wrongdoers to control aircraft and manipulate commands issued to the aircraft. It should be noted that flight control systems are purposefully isolated from all other communications networks on-board the aircraft. Selling an IFC service based on deployment events that have not happened is a significant challenge and operators understandably give much more credit to satellite assets in space than on paper. Further, a delay to the launch of any service has the potential to scare prospective customers away or send them into the arms of rivals. Unfortunately, such delays are all too commonplace for many much-anticipated IFC solutions. Geneva, Switzerland | May 21, 2017– Satcom Direct (SD), the business aviation connectivity solutions provider, announced today at EBACE – Booth S80 – that it has signed a new exclusive provider agreement with Air Alsie, the Denmark-headquartered aircraft charter, ambulance operator and management company. The agreement marks the first time that SD and Air Alsie have partnered, and will position SD as a single source supplying a range of connectivity services across the Air Alsie fleet. The arrangement will initially see SD providing voice and data services, as well as flight deck communication functionality to the fleet. 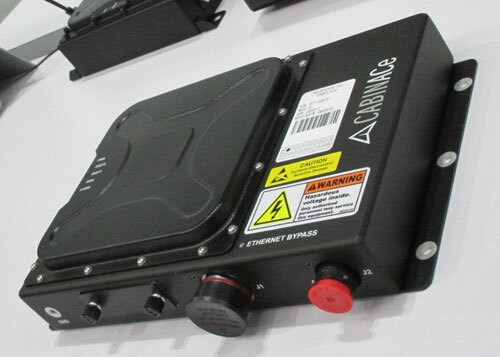 In addition, the contract names SD as the provider for Air Alsie’s future planned connectivity solutions, including Inmarsat’s Ka-band Jet ConneX. SD will also support a cabin router upgrade program for the fleet’s Falcon aircraft, featuring the Satcom Direct Router (SDR) which enables increased functionality and control of cabin Wi-Fi networks. The SD hardware solution facilitates the use of SD value added services including GlobalVT, which allows end users to make and receive texts and calls on their own smart device, anywhere in the world. “As we celebrate our twentieth year in business, inking this deal with one of Europe’s leading business aviation operators demonstrates how our customer-driven approach of creating tailored connectivity packages adds value to an operator’s business. Underpinned by our global support network, we are pleased to be able to serve Air Alsie’s customers, crew and operations teams,” says Michael Skou Christensen, Managing Director EMEA for SD. In this week’s edition of IFExpress we have Gogo, APEX, Boeing and a few other bits of information – so let’s get started! Gogo is announcing K5-Aviation as its first 2Ku business aviation customer in Europe, marking a significant milestone for the company. The first airframe in business aviation that will fly with Gogo’s 2Ku technology is an Airbus ACJ319 operated by K5-Aviation, a leading operator of ACJ aircraft, based in Germany. Fokker Services B.V. managed the 2Ku installation design and system integration including the EASA STC. Installation was performed at its facilities in Hoogerheide, The Netherlands. Gogo’s 2Ku technology delivers industry-leading performance globally, which means passengers can do the same things they do on the ground. For business aviation, that means live video conferencing, fast Internet browsing and streaming video. 2Ku is designed to take advantage of innovations happening in space and is compatible with newer high-throughput and low-earth orbit satellites when they become available. This means the technology will get better in time without having to touch an aircraft. This flexibility means Gogo’s customers can be confident the system is future ready and ahead of the curve from a technology perspective. 2Ku is a unique dual antenna system developed by Gogo to bring global streaming-capable Internet to large aircraft. The technology benefits from global coverage and the redundancy of more than 180 satellites in the Ku-band. With more than 170 systems installed today across eight airlines on five continents, and more than 1600 total aircraft awarded to 2Ku across 14 of the largest airlines around the globe, 2Ku is one of the most successful in-flight connectivity products ever developed. We should also note the following: Gilat Satellite Networks Ltd. announced that its in-flight connectivity (IFC) solution demonstrated unprecedented end-user throughput of over 100Mbps in Gogo’s live airborne media and investor event. Gilat’s airborne modem powers Gogo’s 2Ku service and will be installed in over 1600 aircraft across more than 13 airlines, commencing this year. On May 9th 2017, Gogo hosted a major, high visibility industry event on their Boeing 737 test plane, the “Jimmy Ray.” Analysts and media applauded Gogo’s 2Ku system and Gilat’s modem, which demonstrated over 100Mbps performance. This is acknowledged to be the highest performance ever achieved onboard a commercial aircraft, as well as demonstrating continuous service with excellent user experience. The test flight not only confirmed its noteworthy throughput and user experience, but also successfully demonstrated interoperability capabilities of Gilat’s aero modem with the aircraft’s Communication (IFEC) avionic system. As previously announced, Gogo selected Gilat to provide the onboard VSAT modem and satellite baseband infrastructure for its next generation IFC solution. The recent flights were done upon completion of Supplement Type Certifications (STC) for this system for Boeing and Airbus aircrafts. While the US Government has neither confirmed or denied the possibility of an “All Europe” inflight laptop ban into the US, it is expected this month, although some experts question whether it will be as extensive as all inclusive as the one from 10 Middle East airports today. Also unknown if the rumored laptop exclusions will be surrendered at the gate or relinquished to the baggage hold during check-in at the ticket counters – not to mention flights that progress through European airports. We want to point out that banned PED (iPads, tablets, laptops) types are an unknown at the time of this writing. But if you think about it, getting your data on a phone and learning to love IFE again, might be a good idea. We do know that London’s Heathrow has begun the process of early screening, but like everybody else – they are waiting for the US to demand the change. 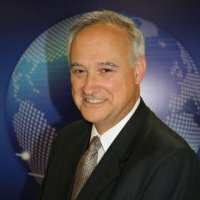 APEX (Airline Passenger Experience Association), a four-decade old international airline trade association, called for a hold on the electronics band expansion to Europe as (they) hosted a biometrics workshop with major airlines and the U.S. Department of Homeland Security (U.S. DHS) Customs and Boarder Protection (CBP). Speaking at the Aviation Festival Americas with more than 60 airlines, APEX CEO, Joe Leader, pushed suggested “green listing” passengers as cleared to carry electronics on restricted routes through the biometric facial recognition initiative being put forward by the U.S. DHS CBP in place of the electronics ban. APEX sounded the alarm in March when the airline electronics ban started as we warned that it could easily spread as reported today. In the United States alone, carriers in less than 30 days have removed more than one million annual passenger long-haul seats from the airports affected by the United States electronics ban alone. The fourth Boeing [NYSE: BA] Inmarsat-5 satellite, which was launched yesterday, will noticeably expand the high-speed broadband service available through Inmarsat’s Global Xpress network after the satellite becomes fully operational later this year. Boeing has a strategic marketing partnership with Inmarsat and currently provides both military Ka-band and commercial Global Xpress services to U.S. government customers. Boeing and Primera Air today announced an order for eight 737 MAX 9 airplanes, valued at more than $950 million at list prices. The agreement also includes purchase rights for four additional 737 MAX 9s and a lease agreement for eight more airplanes from Air Lease Corporation. Scandinavia’s Primera Air is an all-Boeing carrier currently operating a fleet of nine Next-Generation 737-700s and 737-800s with flights to more than 70 airports in Europe. Primera Air is part of the Primera Travel Group that operates travel agencies and tour operating companies in Sweden, Denmark, Norway, Finland, Iceland and Estonia. The MAX 8 and 9 will be followed in 2019 by the smaller MAX 7 and higher capacity MAX 200, while studies and customer discussions continue on further growing the family. The 737 MAX incorporates the latest technology CFM International LEAP-1B engines, Advanced Technology winglets and other improvements to deliver the highest efficiency, reliability and passenger comfort in the single-aisle market. The 737 MAX has accumulated more than 3,700 orders from 87 customers worldwide. Delta Air Lines has placed an incremental order for 30 firm A321ceo aircraft. This order follows three previous Delta orders for the Current Engine Option version of the largest Airbus A320 Family member. The airline took delivery of its first A321 in March of last year. Delta now has ordered a total of 112 A321s, each powered by CFM56 engines from CFM International. A rumor monger told us that this past Thursday was a bad day for a large IFEC outfit and that 45+ folks on the West Coast were let go, as well as, at least 25 on the East Coast. We won’t mention names as our request for more information was ignored. Arlington, VA, Luxembourg and Germantown, MD | March 8, 2017– Today, Thales, SES S.A. and Hughes Network Systems (HUGHES) announced a set of strategic agreements to enhance the delivery of FlytLIVETM – Thales’ connected inflight experience solution, offering the most advanced and efficient aeronautical connectivity solution available in the Americas. Under the agreements, SES contracts capacity on Hughes EchoStar XVII and EchoStar XIX high throughput (HTS) Ka-band satellites to complement its AMC-15 and AMC-16 network giving FlytLIVE the only redundant coverage network in North America. SES will also purchase multiple JUPITERTM System gateways from Hughes to qualify Thales to deploy its FlytLIVE service on Hughes JUPITER Aeronautical platform. This will allow Thales to initiate its next- generation connected inflight experience offering in North America this year. 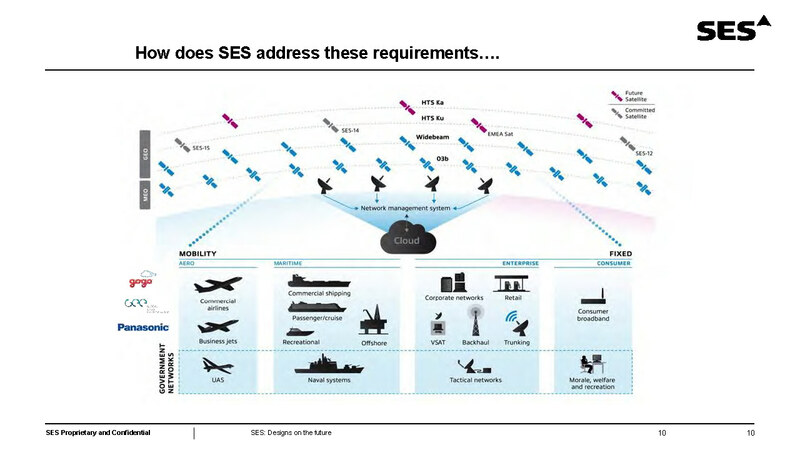 Furthermore, the system being deployed is forward compatible with SES-17, SES’ powerful Ka- band HTS satellite optimized for aviation connectivity and expected to launch in 2020, thus ensuring Thales’ airline clients have a clear and effective path for accommodating the ever- growing traffic demands of their passengers. In 2016, SES and Thales announced an agreement to procure and commercialize SES-17 and to leverage SES’ existing AMC-15 and AMC-16 satellites for FlytLIVE. This new set of strategic agreements between SES, Thales and Hughes provide Thales with an expanded scope of HTS Ka-band satellite capacity and the latest and most advanced aeronautical platform available today. The combination of Hughes EchoStar XVII and XIX Ka-band satellites with SES’ AMC-15 and AMC-16 network provide for expanded satellite capacity, coverage, and redundancy over North America. With these four satellites and the Hughes JUPITER System aeronautical platform, Thales will be positioned to offer the most comprehensive connectivity and content services for the full gamut of North American flight routes, including routes between the North East U.S. and Canada and the Caribbean, which to-date have been underserved as these flight routes are predominantly over open ocean. This combination of coverage, performance, redundancy, and network robustness will be unique to FlytLIVE. Mobility Team and the Americas region, SES S.A. This Week’s News: A Beautiful Mess! This week IFExpress discovered more non-IFEC related stories, and less topics covering our newsletter focus – less than usual, so for this issue we will pinpoint in on: aviation, planes, data, and whatever else our team thought you might catch your interest. With Aircraft Interiors Hamburg on the horizon you will soon get more IFEC news than you can use. 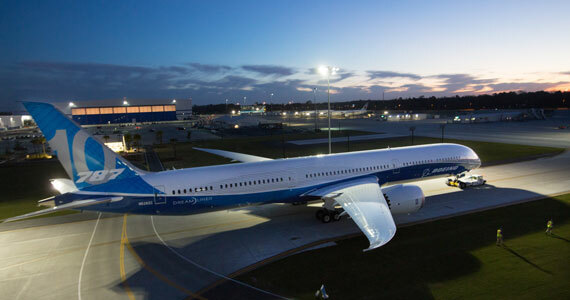 The 787-10, built exclusively at Boeing South Carolina, will now be prepared for its first flight in the coming weeks. “This airplane, the most efficient in its class, is the result of years of hard work and dedication from our Boeing teammates, suppliers and community partners in South Carolina and across the globe,” said Kevin McAllister, Boeing Commercial Airplanes president and CEO. “We know our customers, including launch customer Singapore Airlines, are going to love what the 787-10 will do for their fleets, and we can’t wait to see them fly it.” Boeing will deliver the 787-10 to airlines in 2018. The airplane has won 149 orders from nine customers across the globe. The 787-10, the longest model of the Dreamliner family, will grow the nonstop routes opened by the 787-8 and 787-9 with unprecedented efficiency. As an 18-foot (5.5-m) stretch of the 787-9, the 787-10 will deliver the 787 family’s preferred passenger experience and long range with up to 10 percent better fuel use and emissions than the competition. What part of aviation going digital don’t you understand? Well, the folks at Lufthansa Systems have a vary good answer and you might read it to see what the they view the future to hold: Everyone is talking about digitalization. Many companies are wondering how to future-proof themselves in the digital world. Lufthansa Systems turned this vision into reality a long time ago. For years, the aviation IT specialist has been advising and supporting airlines in their digital transformation, demonstrating what sustainable airline processes can look like and helping customers implement concrete projects. “In light of the growing importance of digital solutions in the aviation industry – including in the areas of data sharing, analytics and prediction – we founded a company last year called zeroG,” said Lufthansa Systems CEO Stefan Auerbach. “zeroG is a consulting firm with the character of a start-up which can respond quickly and flexibly to changes in the market. With their expertise in IT and aviation, our zeroG consultants support digitalization projects inside and outside of the Lufthansa Group.” The attached infographic provides an overview of current digitalization projects and innovative solutions at LHS. Glance Prongay & Murray LLP announces an investigation on behalf of Global Eagle Entertainment Inc. (“Global Eagle” or the “Company”) (NASDAQ: ENT) investors concerning the Company and its officers’ possible violations of federal securities laws. The Company further disclosed that it would be unable to timely file its 2016 annual report, and that it would need to withdraw its guidance for 2016 financial performance. Global Eagle (stock) has fallen over 29% per share during intraday trading on February 21, 2017. 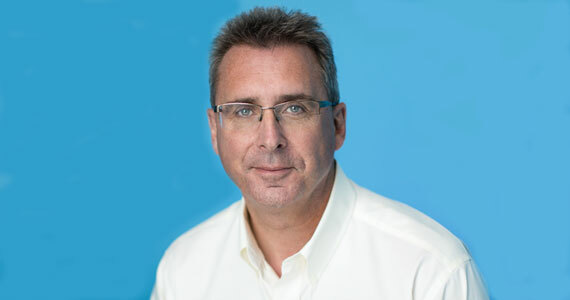 Additionally, GEE announced that its Board of Directors has appointed Jeff Leddy as Chief Executive Officer, effective immediately. Mr. Leddy has served on the Company’s Board of Directors since January 2013 and will continue as a Director. GEE further stated that Dave Davis, the Company’s CEO, and Tom Severson, the Company’s CFO, had both resigned effective immediately. 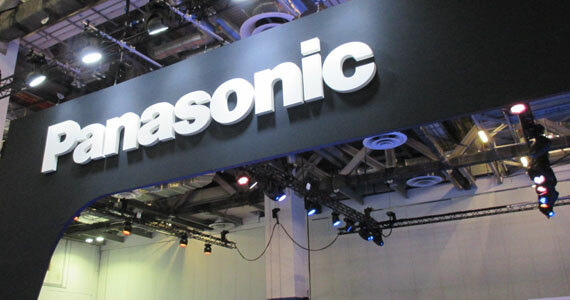 Have you heard about the Panasonic Blog? We asked Panasonic how it came about and here is what a spokesperson said: “Matthias Walter and Estel Carbo worked very hard on this and have a plan that we thinks helps give more insights into the IFEC landscape.” Matthias Walther, Senior Manager of Integrated Marketing at Panasonic Avionics said, “Marketing these days has many facets. Hard sales has its place in marketing too but in an industry as relationship-driven as ours it’s essential to engage in a dialog that is more about education than promotion, more about solutions than product and more about value than price. Of course we will occasionally talk about us and what we bring to the table but only if we and what we write adds value to the daily lives of our customers will our blog be successful.” Noted Panasonic: “One of the business principles of Panasonic’s founder Knosuke Matsushita describes customer focus always trumping sales concerns. 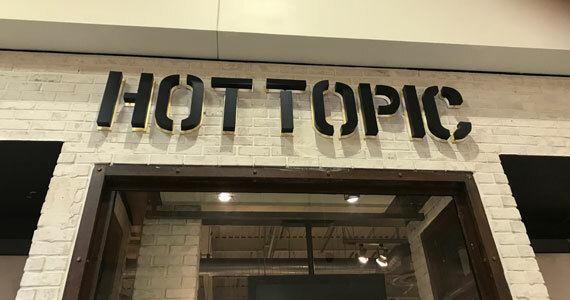 In that spirit our blog intends to drive knowledge, our relationship with our customers and the quality of decision making in one direction, UP.” Check it out here. Panasonic Avionics Corporation and Safety Line unveiled a strategic partnership that will enable airlines to benefit from significant fuel savings. Panasonic Weather Solutions (PWS) provides Safety Line with enhanced global weather forecast through real-time weather data collection from its TAMDAR sensors and FlightLink Iridium system. TAMDAR data provides observations of wind, temperature, and moisture every five seconds as TAMDAR-equipped aircraft descend and ascend at nearly 300 airports across North America. It also collects about 3,500 profiles each day from several hundred additional airports located in East Asia, the Pacific, and Europe. This data is used by Panasonic’s Forecasting Center of Excellence (FCoE), which develops detailed station-based weather forecasting, as well as enhanced weather forecasting. The process is fully automated from the weather live feed to flight plan analysis and climb schedule issuance to the pilot. Airlines can reduce fuel consumption by up to 10 percent during ascent thanks to OptiClimb’s unique patented solution, which uses a combination of machine learning performance models for each individual aircraft, and the computing of optimized climb profiles issued ahead of each flight. Also check this link The Connected Aircraft (Part I) – Curating the Internet of Me – UP – Panasonic Avionics Blog if you want to know a bit more about the connected aircraft. We should note that Hawaiian Airlines has experienced the benefits of SwiftBroadband-Safety delivered through Cobham advanced AVIATOR avionics and has now chosen to expand its commitment to high speed broadband in the flight deck with its A321neo. But to see the features that are provided, you must check out this Inmarsat Global Aeronautical Distress and Safety System feature download – this is the future of aviation safety and you need to check it out! The FAA issued a new rule that forces Boeing 787 operators to periodically shut down and restart airplane power that reboots onboard computers to overcome a glitch that shuts down flight control computers during flight! Finding and fixing this “inconsistency” will be very, very interesting. Stay Tuned! Be a part of the world’s largest gathering of the international satellite community. Taking place in Washington, D.C. March 6-9, 2017 the SATELLITE 2017 Conference and Exhibition don’t miss this opportunity to hear from executive speakers from commercial airlines, the U.S. Federal Aviation Administration and the U.S. Air Force! Donald Trump says the new Air Force One contract should be cancelled! Perhaps Airbus will make a better offer? Then Boeing put this news release out – Boeing Statement on Air Force One – Dec 6, 2016 Or, you might want to read the following story from Gizmodo – beware there are x-rated words, so watch out! If you have been wondering where IoT and cloud computing are going, one answer is ‘physically portable data’. This is going to be one of the markets of the next generation cloud because of security and access as large (and now medium) data portability and cloud interaction become involved. We suspect that the airlines will see value in this if hacking gets any worse Amazon Cloud Gets A Bit More Hybrid This just may be one futures of the medium and big data cloud storage and security. In-Flight hook-ups now supported with AirDates “This is achieved using Multipeer WiFi between smartphones, eliminating the need to rely upon the Plane’s WiFi network or other connection.” Check it out here – but you might need the Trusted Contacts app as well. While in Singapore, we heard one word over and over – millennial- so we thought after the show we would do the research on who they are and why they are so important to some industries. While this quick bit of data is just a speed read, we think the answers are telling and important to IFEC, especially C (Communications). First what is a millennial? It is a person ‘reaching young adulthood around the year 2000’ the dictionary said. Noted Goldman Sachs: “The Millennial generation is the largest in US history and as they reach their prime working and spending years, their impact on the economy is going to be huge. Millennials have come of age during a time of technological change, globalization and economic disruption. That’s given them a different set of behaviors and experiences than their parents.They have been slower to marry and move out on their own, and have shown different attitudes to ownership that have helped spawn what’s being called a ‘sharing economy.’ They’re also the first generation of digital natives, and their affinity for technology helps shape how they shop. They are used to instant access to price comparisons, product information and peer reviews.” Further, a company called iGR interviewed and surveyed millennials to get their views on communication and technology and here is what they said: “As the largest and highly communication-tech-savy generation; they are at the epicenter of our curiosity to drive decision-making for the next wave of innovation in infrastructure. Take note! The most successful service providers over the next 5-10 years will be those who best understand the emerging generations communication behavior, accurately anticipate core service wants and needs, proactively adapt and adjust business strategies, and finally, provide the most relevant solutions and services.” That about says it all and explains why the word ‘millennial’ was so popular in Singapore, especially with those who dealt with communications, connectivity, and cost! United Kingdom | December 6, 2016– AERO-SATCOM, the joint venture (JV) between Eclipse and NSSLGlobal, today signed an agreement with Inmarsat’s Global Government business unit which sees the JV appointed as Global Xpress (GX) Value Added Reseller (VAR) for the Government Aero market*. With Swift Broadband and Swift 64 distribution agreements previously signed, this latest development allows AERO-SATCOM to work alongside local partners to offer Inmarsat’s high performance Ka-band services. AERO-SATCOM’s first provisioning of aeronautical GX services will be through a local government-focused Inmarsat Service Provider for a fleet of Europe-based head of state aircraft. Dubai, UAE | December 5, 2016– Ahead of MEBAA 2016 Satcom Direct has announced that it is now authorized by Inmarsat’s Global Government Business Unit to provision and resell Inmarsat’s Ka-band Global Xpress (GX) service to global government customers for use in military, head-of-state and other government operations. Satcom Direct (SD) has been appointed a Value Added Reseller (VAR) for Inmarsat’s GX mobile global broadband satellite network. GX delivers secure, end-to-end wideband connectivity that enables seamless airborne, naval and land operations. During MEBAA 2016 SD will be explaining to delegates why this is an ideal tool for those needing maximum connectivity in conjunction with maximum mobility. GX is a perfect fit for military and head-of-state communications needs. SD already is a VAR for the U.S. Government business unit, as well as Jet ConneX, the business aviation version of Inmarsat’s Global Xpress service. SD was the first business aviation communication provider to provision and validate its services over the network. Cedar Rapids, Iowa | October 18, 2016– As airlines and airports come together in Singapore for the Airline Passenger Experience (APEX) Expo and Future Travel Experience (FTE) Asia Expo, Rockwell Collins will be there showcasing its powerful portfolio of solutions that deliver a complete end-to-end experience for passengers. 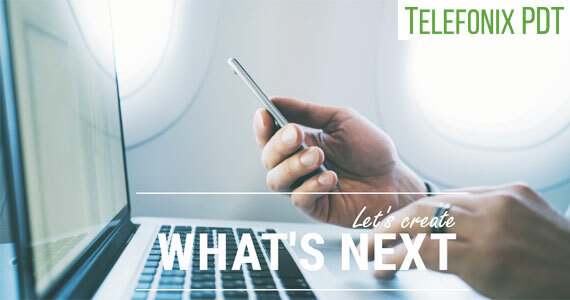 At APEX, the focus will be on the company’s PAVES in-flight entertainment (IFE) systems, Inmarsat GX Ka-band connectivity and applications and value-added services — all aimed at engaging, connecting and entertaining airline passengers. “Airlines are interested in how they can provide their passengers with the best experience in the airport, onto the aircraft and through to the final destination,” said Jeff Sare, vice president, Sales and Marketing, Air Transport Cabin Solutions for Rockwell Collins. At FTE, Rockwell Collins will promote and demonstrate its next-generation airport solutions that are improving efficiencies in passenger processing, security and passenger experience. France | September 12, 2016– Thales, a global leader in space, avionics, and connected inflight entertainment, announces two milestone agreements with SES, the world’s leading satellite operator. With these agreements, Thales will offer airlines and their passengers FlytLIVE, the most efficient inflight connectivity experience over the Americas. FlytLIVE by Thales will start operating mid 2017 using in-orbit satellites. With FlytLIVE, passengers will enjoy full Internet services including video streaming, games, social media and live television, creating an immersive and engaging experience in the air. The third satellite in the network to be launched, SES-17, will be optimized for the fast-moving aviation and mobility market over the Americas. It will provide new Ka-HTS bandwidth over this region to meet current and future speed, coverage and quality expectations of crowded skies and increasing passenger service demands as regional airline 1 passenger traffic is forecasted to nearly double by 2030. Carlsbad, CA |June 3, 2016– American Airlines (NASDAQ: AAL) has selected ViaSat Inc. (NASDAQ: VSAT), a global broadband services and technology company, to outfit its new Boeing 737 MAX fleet with ViaSat’s in-flight internet service. The ViaSat in-flight internet service has been recognized with multiple industry awards for delivering the best performing, highest-quality and fastest in-flight internet experience. The service encourages higher passenger engagement per plane by offering an ‘at home’ internet experience when in-flight – with the ability to stream movies, videos, television and music, as well as surf the web, upload pictures to social media, email large files and more. The new American planes will tap into the power of ViaSat’s advanced high capacity Ka-band satellite system, which will include ViaSat-1, ViaSat-2 and ViaSat-3 satellite platforms, and has more capacity in orbit than any other in-flight Wi-Fi provider. American will leverage ViaSat’s first two generation satellite platforms, which together provide more capacity than all of the commercial satellites over North America combined. When the first ViaSat-3 class satellite platform launches in 2019, it will more than double the capacity again. With its capacity-rich satellite platforms, ViaSat is able to deliver the fastest, highest quality in-flight internet service to each connected device on a plane. As an internet service provider, ViaSat already serves nearly 700,000 residential and business users with high-speed, high-quality satellite internet. The ViaSat network is also the key to supporting thousands of simultaneously connected aircraft, each with dozens to hundreds of connected devices.